So, a few weeks ago, I started a new volunteer position helping out with Gallop NYC, which is an organization that teaches therapeutic horseback riding lessons to people with disabilities. Right now, I'm most useful with the horses, since I'd never worked with anyone who had special needs before very recently, but I hope to gain some experience and then look to get certified as an instructor with NARHA. All in all, it's pretty rad and also pretty exhausting, but I feel like I'm doing something, and there are a lot of moments in which I wonder if it's more therapeutic for me or for the riders. The only catch is that the volunteer opening was not at the Brooklyn location. It's in Queens -- and no matter which public-transportation option I exercise (all involve two trains and a bus), it takes me about an hour and a half to get there. So, to be there at 9:00 a.m. on a Sunday, I have to leave at 7:30 (7:15 if I want to buy coffee and a bacon wrap, which isn't really an if, let's be honest). For those of who you know me even remotely well, you know that takes a Herculean amount of effort for me. So, suffice to say, that while I was setting out on my first weekend volunteer expedition, I was beginning to question my sanity. But then! I reached the final leg of my journey, and right when I got off the bus to begin my 15-minute walk to the stables, I saw them: all of my favorite things. A Panera (yes, please, I would like some bread on the side of my bread sandwich), a Five Guys, a library, and a Michael's (craft store), all within about a two-block radius. 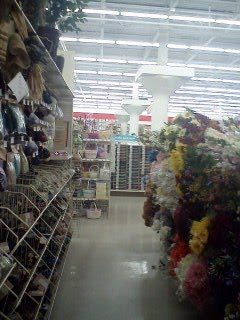 On my way back from the stables, I walked through the Michael's parking lot and inhaled. It all seemed so nostalgically Midwestern -- the families with kids getting into cars (cars! existing, and being owned by normal people who use them to get places! 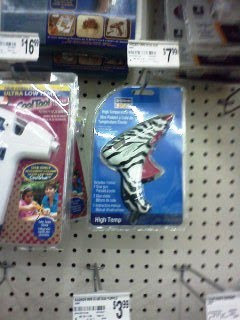 ), and the teenage girls with big bags of colored t-shirts and puffy paint (I, once, was one of you. Confession: much, much more than once). Isn't it beautiful?! High ceilings! There's just so much space! And no mirror on one side to make the place look bigger! I was tempted to get a row of these to put on my windowsill (SO TINY AHH), since I really want to try to grow something either pretty or useful (like dudes, it seems that plants are generally one or the other) (j/k, you guys, pretty dudes can totally be useful...call me). But then I remembered that I can't stand the sound of clay pots, so, I was relegated to simply admiring them, like the zebra-print hot glue gun. 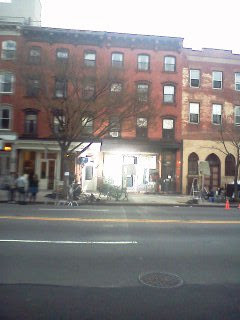 This is unrelated, but maybe someone can help me solve the mystery -- I was walking down Atlantic Ave. sometime last week or maybe it was the week before, and it looked like they were filming something. Everyone seemed busy plus I was on the other side of the street, so I didn't ask what it was. Instead, I took a low-quality cell phone picture (keeping it real, like all the other photos I post on here) and told myself I would figure it out later. How I imagined I would do this, I'm not quite sure. I'd love to read more about your volunteer position. I am unsure what is in that picture. It looks like they are all studiously avoiding the light. The film could've been anything, but by default, a New Yorker would guess that it's the latest "Law and Order: SVU" episode. 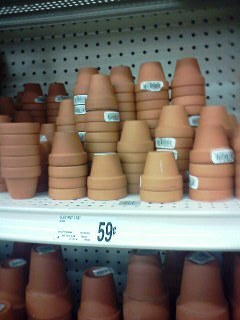 You can't stand the sound of clay pots? What do they do, secret sing-alongs while you're asleep?